"Parting Glance at a Beloved Priest"
The Wisdom of Fr. Benedict J. Groeschel, CFR gives you a glimpse of not only Father Groeschel's special gift for words but also his vibrant faith and love for others. Explore a collection of brief passages pulled from different sources and periods throughout Father Groeschel's life. 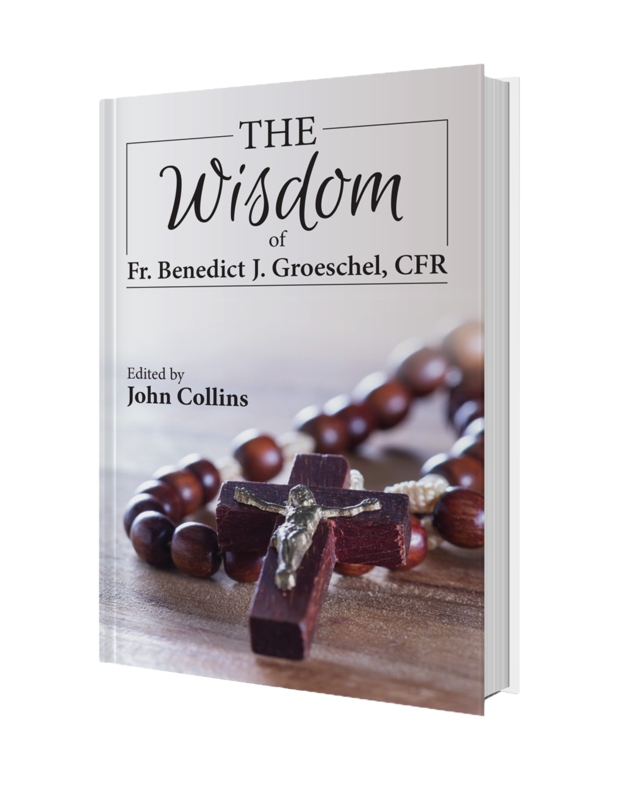 This simple e-book can’t contain all the richness of Fr. Groeschel’s teachings and wisdom, but it does open a window to his brilliant mind, his passionate faith, and his commitment to his ministry as a beloved priest. Download The Wisdom of Fr. Benedict J. Groeschel, CFR for FREE by joining the email newsletter from Our Sunday Visitor. Enter your email address below and get this special resource. Plus you’ll also receive access to exclusive teaching, product discounts, and encouragement designed to bring your faith to life!